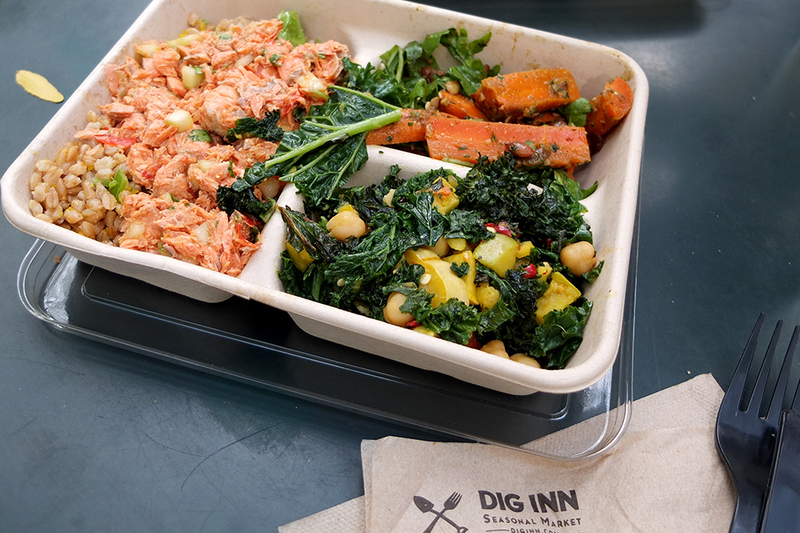 Wanted to give a shout-out to one of my favourite lunch spots in New York, meet Dig Inn, a place that keeps the farm-to-table food at reasonable price level. 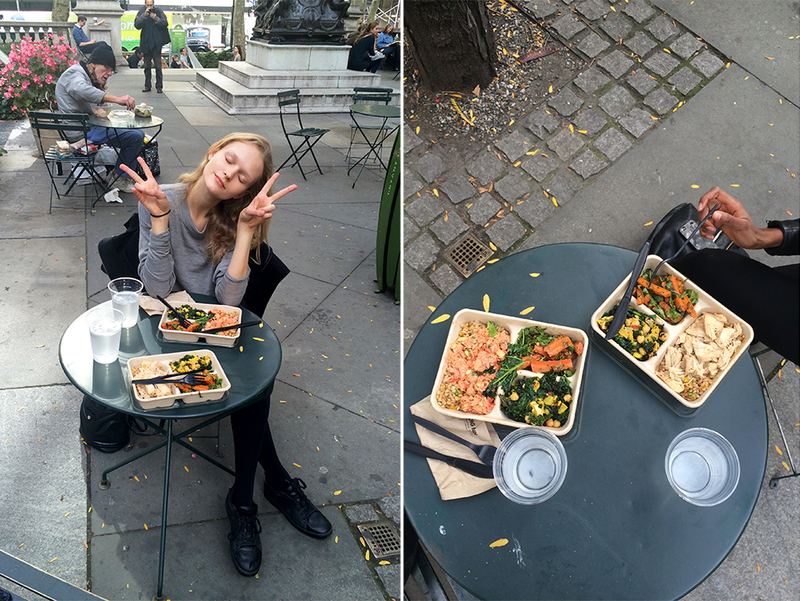 Yesterday I asked my roommate Farhiya to come with me and try out their new seasonal fall menu. 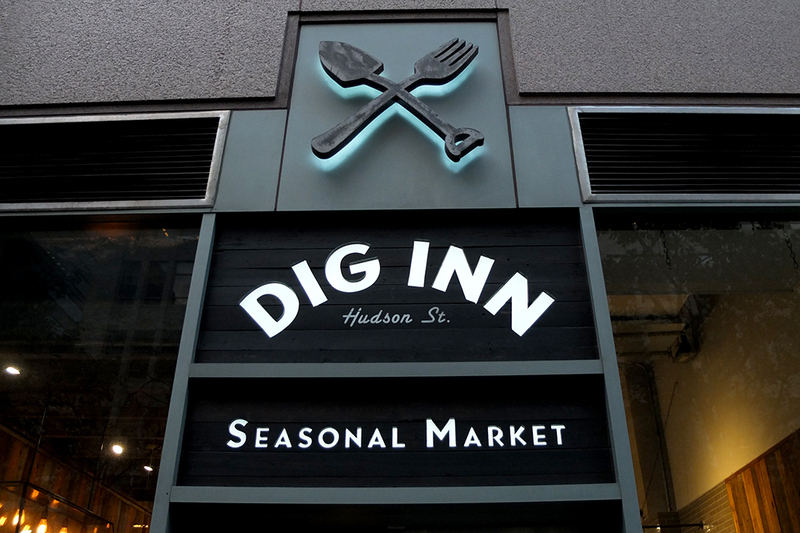 Excited and hungry we headed to one of the Dig Inn locations on 275 Madison Ave. I opted for marketplate with wild salmon on a bed of farro with butternut squash with sides of kale and curried delicata squash + roasted carrot with kale-pumpkin seed pesto. 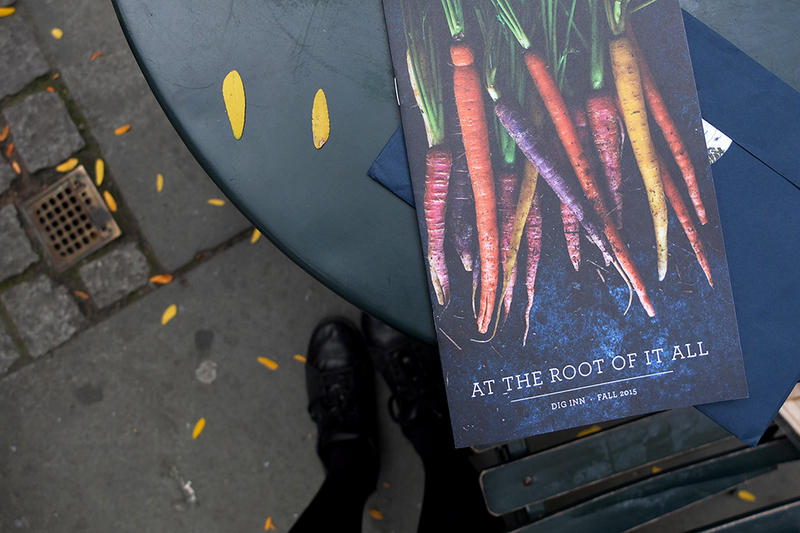 Sounds complicated and fancy but actually it's all about just simple ingredients and seasonal veggies from local farmers. Everything was delish and fresh! My favourites ended up being the farro and kale with curried squash. 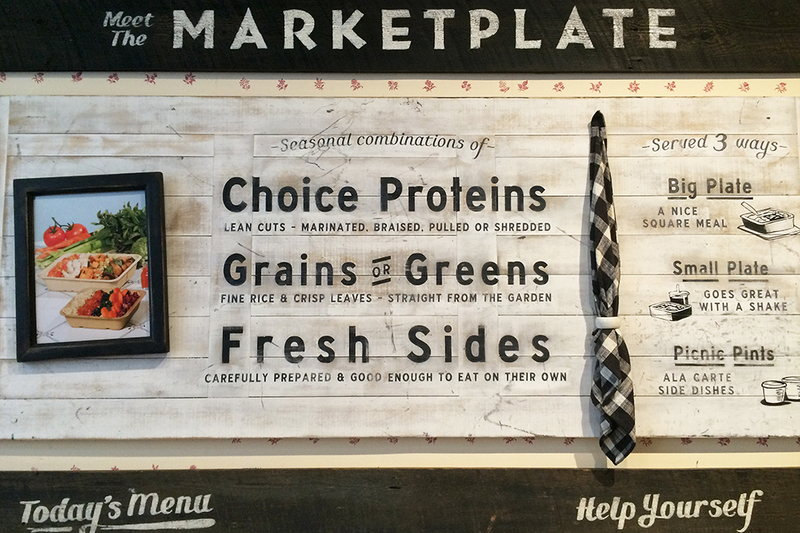 Small marketplates are all around 8$, a reasonable price in New York. 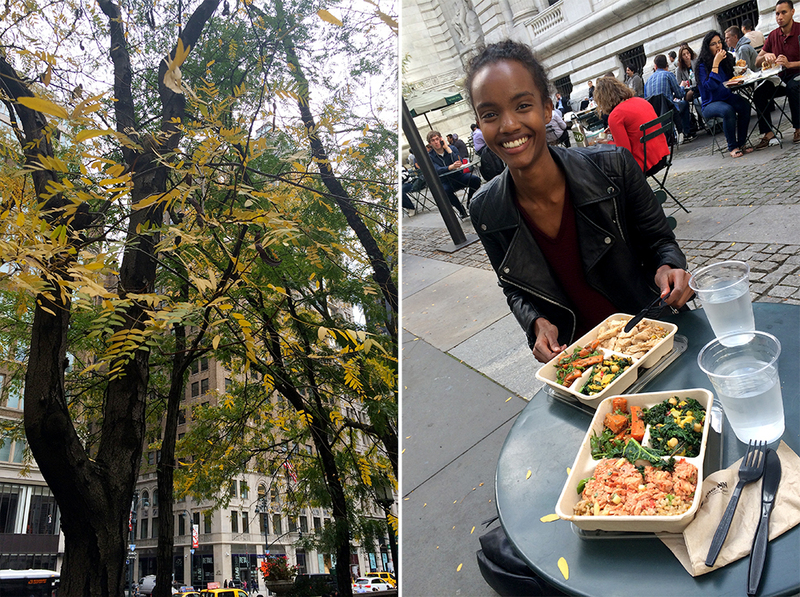 As it's still so nice and warm outside we walked to Bryant Park to have our lunch in the front of New York Public Library, accompanied by squirrels, birds, falling leaves and office workers - such a NYC moment. I also got my hands on the Dig Inn fall taste book that includes recipes for their Kale-pumpkin seed pesto and savory rosemary walnut granola, ..might come handy if I actually decide to start cooking one day, so far it seems like eating out is actually cheaper than doing grocery shopping. What web host are you using? Can I am getting your affiliate link for your host?